Why does this matter? 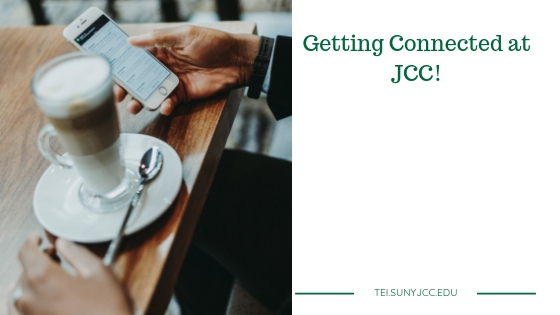 If you are an administrator, faculty or staff member at JCC, it gives you a way to keep your personal correspondence separate from your JCC official mail (your Outlook account). Additionally, if you are a faculty member, you may choose to have your students contact you on this account to, once again, keep that correspondence separate from your official JCC email. If you are a student, it is critical to your academic success that you set up and use this email account. Many departments at Jamestown Community College have gone paperless, and this email address is the official means of communication between students and the college. All correspondence regarding grades, student bills, financial aid, health records, etc. will be communicated in this manner. Additionally, all Blackboard correspondence with your instructor uses this email system as well! While extra email accounts can be cumbersome, the good news is that you can forward this account to another email address that you check frequently. You can access this account from the home page of the JCC website and click on the link for myJCC. A new window will open; locate the button for Email and click on it. Another window opens where you can type in your username and password, then follow the instructions to set-up and use the Email account. To forward your JCC email to another email account, sign into your JCC email, then locate and click on the settings icon (it looks like a gear) located on the right upper portion of your screen. Select Settings from the drop-down list and locate the Forwarding and POP/IMAP link under the General label. Add your forwarding email address to the appropriate area, save changes, and you are done! If you have questions, contact a member of the TEI team.